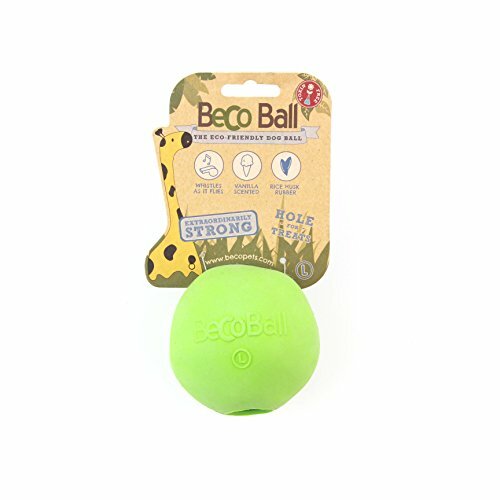 BecoBall is the world's first natural rice husk rubber dog ball. Made from rice husk rubber, this revolutionary toy is 100% toxic free and safe for your pet! They are also scented with vanilla for a great smell that will entice your pet. It also has a treat spot for hours of fun. Extra tough rubber ball which is great for chewers and perfect for fetch! The round hollow cavity is perfect for hiding treats! If you have any questions about this product by Beco Pet, contact us by completing and submitting the form below. If you are looking for a specif part number, please include it with your message.